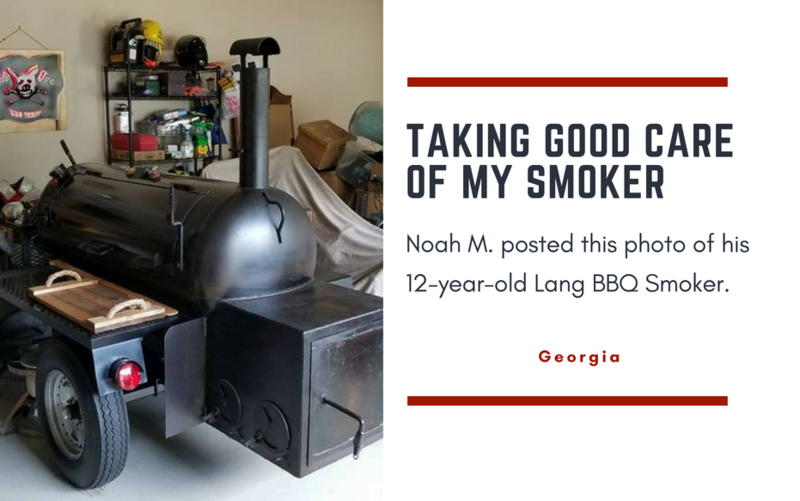 Noah M. sent us this photo of his 12-year-old Lang BBQ Smoker. We’re quite impressed at the level of care he’s provided for his smoker cooker! This just shows you how well made that the Lang Smoker Cooker is. If you take care of it, you will be #CookingonaLang for many years to come!! !